A wonderful family I helped assist with a purchase a while ago called me for some tips when they were putting their home on the market. I don’t actually practice vendor advocacy, so I let them know that the extent of my support would be to equip them with the right questions to ask the prospective listing agents in their quest to find the right one. I made it very clear to them that they needed to find someone that they could relate to, someone who gave them the facts (both good and bad), and someone they could trust. The agent relationship is critical for vendors because it comes at a time when emotions, harmonious relationships and significant money are at stake. But I did find it hard to just stop there, so I remained their phone-a-friend throughout their campaign and on their auction day, which arrived this past weekend. Usually my articles describe a purchase. Not only does this story not feature a purchase, but it doesn’t feature a sale either. I felt that it would be good to highlight the importance of understanding the target buyer, and remembering that patience is so important when it comes to property. 7-8 Tallarawarra Rise in Donvale is an incredibly unique property. 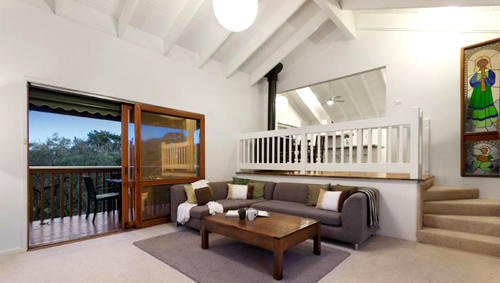 It offers five bedrooms plus a study, four bathrooms and multiple living areas. One entire section of the house on the lowest level features a fully contained area inclusive of a kitchen, which could easily offer a home to someone who wanted partial independent living. The most amazing thing about this property, however, is the incongruent clash between suburbia and its peaceful bushland surrounds. 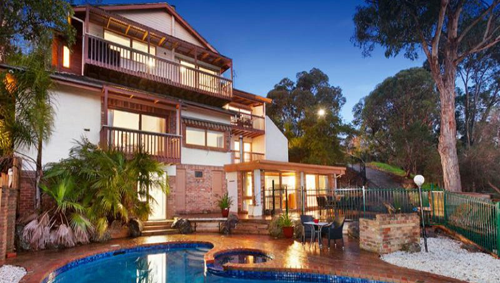 It only takes a few minutes to drive from the Maroondah Highway in Mitcham to this dramatically different paradise, and Eastlink access is within three kilometres. The first time I visited this property I was shocked at the escape it offered from suburbia. 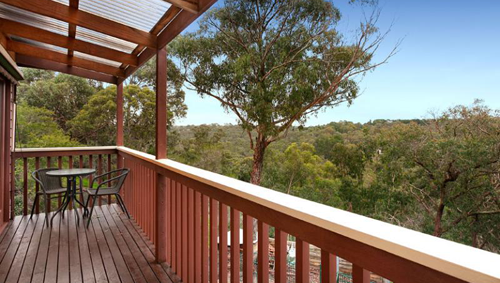 From every window this split level home overlooks gumtrees and a bushland vista. Birds can be heard at all times of the day and kangaroo watching is something that the owners and their children have become accustomed to. Their 2.3 acre retreat has been a much-loved and ecologically enthralling lifestyle for them, but the challenge I knew they’d face is that their bushland oasis is not for everyone. This is a house that needs time to find its buyer. It has several different split levels, stairs winding and retreating to all kinds of tucked-away rooms and a wonderful 70s architecture theme. The uppermost level contains the generous open plan modern stonebench kitchen and dining area, and it overlooks the children’s sunken lounge retreat. The wonderful thing about the floorplan is that it could adapt itself to teenagers, larger extended families or for zoned living. Disappointingly but not surprisingly, the house passed in on Saturday. The owners understand that sometimes a special house needs time to find its new owners. Someone who enjoys bushland living, appreciates nature, loves long walks and wants to be surrounded by tranquillity all weekend will adore this home. And until then, these owners will enjoy one last winter and spring in their much-loved home. 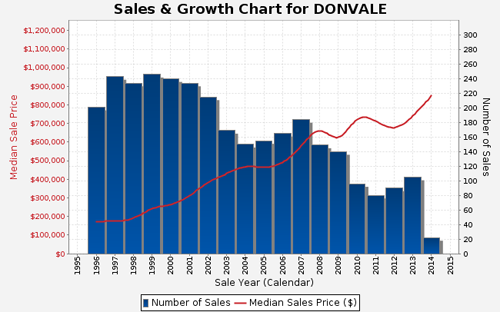 For more information about Donvale, read our suburb profile here.